Below, you'll find all the hotels near Home Park. 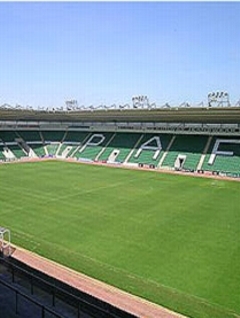 All the hotels are listed by their distance to Home Park Stadium itself. From the North: Travel on the A38 Devon Expressway until the junction with the A386, signposted Home Park, City Centre, Ferry Port, and Tavistock. At the roundabout as you come off the A38 take the second exit A386, signposted Plymouth Argyle Home Park, Ferry Port. Stay on this road for approximately a mile; the stadium is on your left, with a large free car park on the A386. From the Cornwall: Head towards Plymouth on the A38 and across the Tamar Bridge at Saltash. Stay on the A38 until the junction mentioned above but take the fifth exit off the roundabout. It's a 25 minute walk from the train station and a 40-45 minute walk from Plymouth City centre. Do you need help finding a hotel near Home Park Stadium? Chat to us live for free. Minutes walk to the city centre and shopping precinct. A quality four star hotel in Plymouths city centre. A cosy, non smoking family run hotel. A Victorian hotel, tasefully decorated and modern. Four star hotel in a good Plymouth location, commited to professionalism. In a prime spot on Plymouth Hoe within a one minute walk of Plymouth Sound. Providing quality service and value in a welcoming and relaxed environment. Family run non-smoking hotel with a warm homely atmosphere. The Invicta Hotel is an elegant Georgian Building, modernised to a high standard. Built in 1863 and a grade II listed building, just minutes from the waterfront. Modern hotel in the centre of Plymouth, offering great views of surrounding area. Offers superb uninterrupted views from its position on the crest of Plymouth Hoe. One of the newest of Plymouths hotels, offering upscale accommodation. Budget hotel, at the gateway to Plymouth with leisure facilities. Set in 180 acres of Cornish countryside, one of the region's leading golf clubs. hotel combines the charm & ambiance of years gone by with modern comfort. Privately owned hotel with an atmosphere of warmth, ease and charm. The hotel has tasteful furnishings, lounge, and gun room bar. Truly restful retreat. Overlooking The Plym Estuary and the city of Plymouth. A luxury country house hotel set in its own estate with gardens and lake. Small hotel in a lovely little village near Dartmoor. Sat on the edge of the moorland with views of the sea over the South Hams. Set in 30 acres of gardens & woodlands. A warm welcome & relaxing stay awaits. In the historic market town of Tavistock. A True Taste of old fashioned hospitality. 17th century Coaching Inn is an award-winning town house hotel. A boutique hotel offering individually styled accommodation & amenities. Situated within its own 60 acres and river frontage, stunning country house hotel. A hotel in the village of Tavistock, doesn't allow children under 5. Quaint hotel in a small Cornish village, with leisure facilities.